This article is the second in a five part series dealing with the pitfalls and advantages of creating superpowered characters. Part One may be read here. Last week, we discussed whether or not superpowers can make a character in speculative fiction a hero. Having satisfactorily answered that question, we turn to a different topic. This is the subject of handicapped heroes. Upon reading those words, many will think automatically of super powered protagonists who have some sort of physical or mental impairment, yet remain an active part of the story due to their extraordinary gifts. Star Wars’ Chirrut Îmwe and Alphas’ Gary Bell are two examples of this type of disabled hero. Each one has a handicap of some kind; Chirrut is blind, while Gary has a form of autism. Neither character is fully capable physically due to these different handicaps, for want of a better term. However, both have paranormal abilities which compensate for their lack of corporal assets, or which render their loss inconsequential. 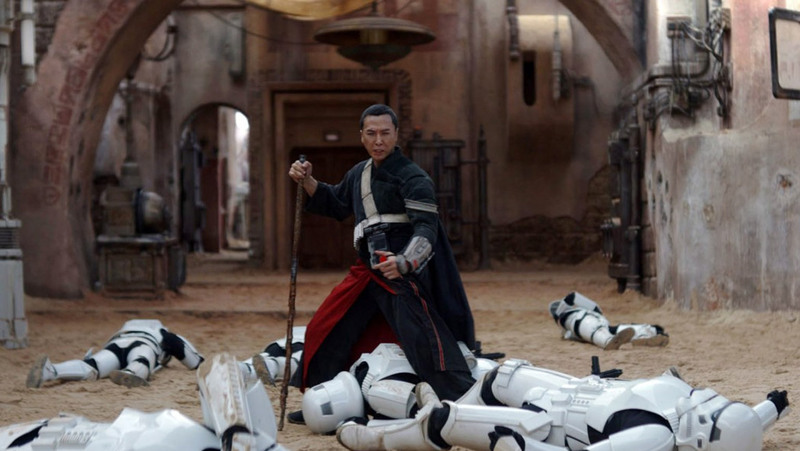 Chirrut Îmwe’s mild Force-sensitivity allows him to fight almost as well as – if not better than – a man who has the full use of his eyes. His empowerment, minor though it is, gives him an advantage over his opponents despite his lack of sight. Like many autistics, Gary from Alphas has an amazing aptitude in a certain area of expertise. He has a remarkable capacity to process information and to calculate at a very rapid rate. Added to this is his Alpha ability of transduction which allows him to see all electromagnetic radiation/electromagnetic wavelengths. Using this power he can literally hook his mind up to the Internet in order to access and/or download various forms of information from that invisible stream. Obviously, these are two cases where characters with impressive disadvantages can still partake dynamically in the course of the story due to their extrasensory abilities. Most writers who have powered protagonists of one variety or another routinely jump to tell stories about such heroes. They are worthy subjects and, quite honestly, authors everywhere have a lot of fun surprising audiences by turning disabilities like these on their heads through the addition of a fantastic power. Taking away a physical asset is certainly an excellent path to encumbering even an empowered hero. It is important to remember, though, that these are not the only ways in which empowered heroes can be handicapped. There are other methods writers can use to inconvenience them as well. One cannot help but wonder, after all, what happens when someone’s “extra” power is removed from the picture. To everyone else, the empowered hero’s paranormal ability is an additional faculty, one that makes life easier for them. But for the hero or heroine in question, having and using this “supplementary” capability is as natural as using their four limbs, five senses, or regular intellect. Take it away and it is very likely that your powered protagonist will not be happy since being deprived of their power will be the equivalent of suddenly going blind or losing a limb. 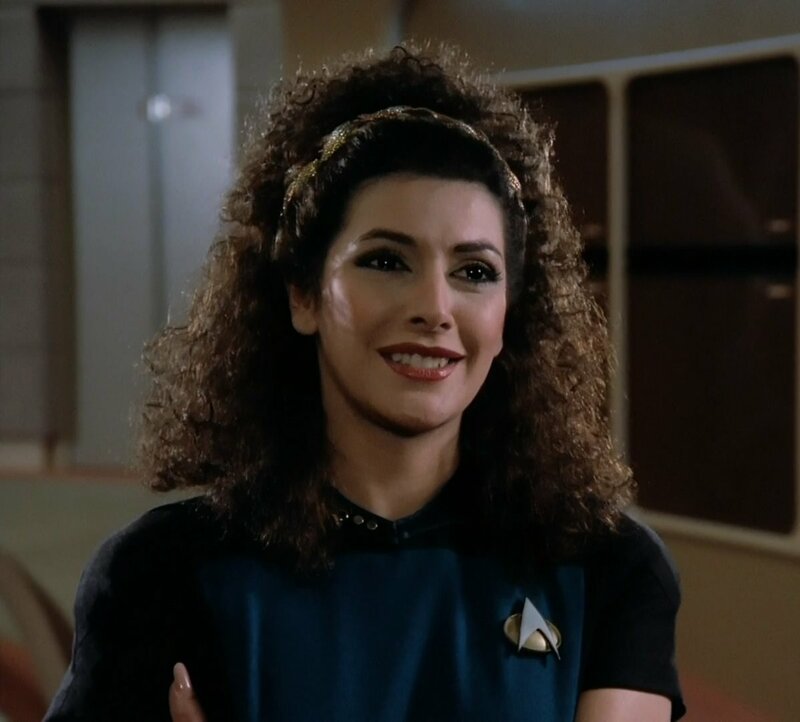 Deanna Troi of Star Trek: The Next Generation offers a good illustration. While I do not recall seeing the episode in question, there was an installment where she was temporarily deprived of her empathetic abilities. Although the presentation of her paranormal gift was generally poor throughout the series, her reaction to its loss in this episode perfectly encapsulates how an empowered character might react in this situation. Everyone else aboard the Enterprise regards Deanna’s empathetic senses as an add-on, a bonus. Being born without extrasensory perception, they cannot help but view her empathy in this manner. To her, however, this power is as natural as seeing and hearing. Losing it is equivalent to going blind and deaf, in the sense that she can no longer see into others or hear their feelings. For the duration of the show she struggles to cope with her loss and function after being deprived of her powers. Maintaining the use of the Star Trek illustration a little longer, after being stripped of his powers in “Deja Q,” the titular character has trouble adjusting to his new form and surroundings. While most of his problems owe to his selfishness and negligent personality, the rest are the result of his never experiencing life as a “common biped.” Simple things such as eating, sleeping, and back aches are entirely new experiences for him because when he had his abilities, such weaknesses held no power over him. Similarly, his usual answers to a variety of difficulties no longer applied. When attempting to help La Forge and Data devise a plan to save a planet from an errant moon, Q told them that the way to fix the problem was to change the laws of gravity. In that small moment he did not recall that humans lacked the capacity to do such a thing. Most of this was due to his self-absorption, but it was also a small sign of the fact that, for an instant, he had entirely forgotten the limitations of humanity. In both these cases, the character who has lost some paranormal capability reacts to it in a believable manner. Deanna is aggravated by her powerlessness, her psychic “blindness” to those around her. While Q has similar problems, his main reaction is stark terror, shock, and surprise. Each response is natural and deepens the audience’s understanding of the different protagonists and their powers. The above examples all focus on taking an aspect from a character. This is because the loss of a physical advantage, visible or not, is usually seen as a form of debility. Although one can adapt to, overcome, and thrive in spite of some injury, mankind instinctively recognizes that these deficits detract from the whole. We were never designed to be maimed or destroyed, but due to the fallen nature of this world, both are familiar occurrences. A third way to weaken a powerful protagonist is via the extrasensory ability itself. Power is truly a double-edged sword and it can cut two ways, wounding an opponent at the same time it harms the wielder. Marvel Comics’ Cyclops and Rogue attest to this fact because both X-Men have abilities that are helpful in combat but the exact opposite in daily life. 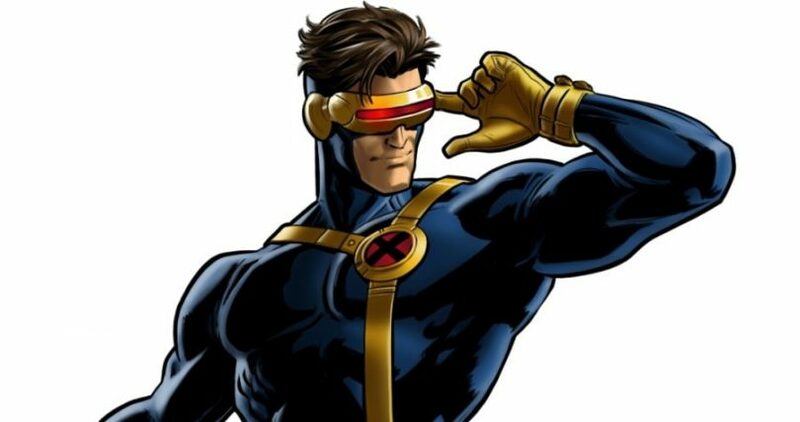 Cyclops’ superpower is the projection of intense laser beams from his eyes. These beams can melt most Earth metals and a number of alien ones, not to mention blast through rock, foliage, and other natural objects. When using his power against sentient adversaries, “Cyke” usually has to reduce the amount of energy his “eye beams” emit. This makes them strong enough to hurt, but not enough to cut another person in half or to vaporize them. This ability is a great advantage in battle, especially when the hero is facing foes that are impervious to normal attacks. Sadly Cyke’s “optic blast” comes with a built in handicap; he cannot turn it off. Unless he is wearing specialized sunglasses or has donned his signature visor, he must keep his eyes closed to avoid harming innocent people. If these safeguards are ever removed before he has time to shut his eyes, disaster will strike those closest to him, some of whom may be his friends or loved ones. Due to the constant danger that this enhancement poses to others, Cyclops’ personality has been adversely affected by his special power. He is stoic and often distant when dealing with others because he fears somehow losing control of his abilities. Condemned to see the world through a deadly red haze, the proper and safe use of his extraordinary gift weighs on him as more of a burden than an endowment. Rogue has a similar difficulty, as her mutant capability makes skin contact with others a perilous affair. Born with the power to absorb the memories, talents, skills, abilities, and life forces of others by the merest touch, prolonged physical exposure to another person means she will pull his or her psyche into her own mind and body. Rogue has put people in comas after holding on to them for too long with her bare hands. In one case, this left her with a split personality after she almost completely absorbed the psyche of a different Marvel heroine. This woman’s psyche would physically take control of her on different occasions in order to experience the world, often subsiding reluctantly or during the worst possible occasions. To prevent her power from harming innocent people, Rogue must wear gloves, long-sleeved shirts, and pants almost continuously. Rain or shine, summer or winter, she has to wear clothing that will leave only her face, neck, and head exposed on a daily basis. She cannot kiss a man for more than a few seconds, nor can she brush up against others with her bare skin for more than a handful of moments. If her clothes or suit are ever damaged, she runs the risk of unintentionally absorbing the minds and capabilities of bystanders and/or her friends into herself, perhaps permanently. Just like Cyclops, the inherent danger of her power has deeply impacted Rogue’s character. Different writers have demonstrated this in various ways over the years, but the constant thread has been her enduring sensation of isolation. Unable to make the simplest physical connections with others, Rogue regularly demonstrates a profound sense of segregation and loss. In most of her depictions her deep yearning for normal skin-to-skin contact cannot be filled because her power has no “off switch” that she can utilize to control it. Clearly, to have an extra strength of some kind can carry grave risks. Above-human capabilities have their detractions as well as their benefits, for power can be a weakness in and of itself, which the next two examples display very well. Though the mechas in both Zoids: Chaotic Century and Pacfic Rim are in no way related to paranormal powers, they do grant their pilots extraordinary strength. In both fictional universes, watching these mechanical monsters clash is the equivalent of seeing giants do battle. Each zoid or Jaeger is far larger than a human being, and therefore possesses the inherent assets of greater size and weight. When one considers the additional weaponry hidden inside the bodies of these titanic mechanisms, it is easy to see how fearsome they can be. This very grandeur that attracts the protagonists to such man-made kaiju, however, also forms a core problem for the pilots. Several characters in Chaotic Century become so reliant on their zoids’ capabilities that they almost automatically reach for these whenever they enter a battle. This leaves them open to being defeated by more versatile pilots who, recognizing their enemies’ psychological blind spots, utilize them to win the confrontation. 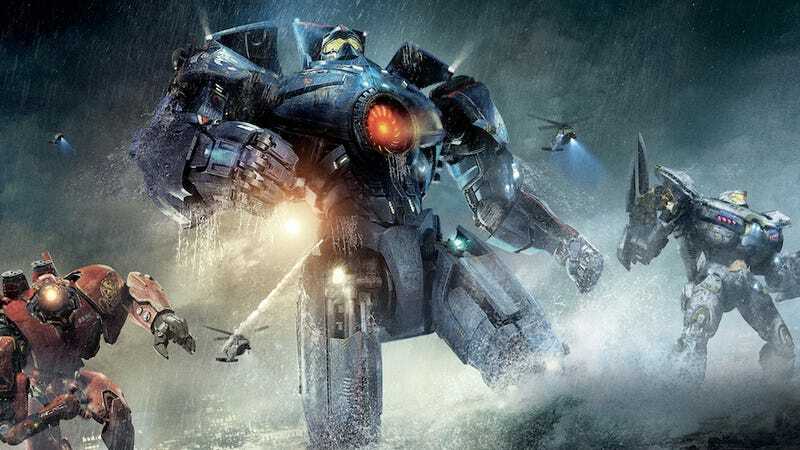 In the first Pacific Rim movie, during the battle in Hong Kong, the pilots of the Chinese Jaeger demonstrate the symptoms of this weakness. Relying on their signature “Thundercloud” maneuver, they attempt to confront and kill one of the two attacking kaiju. However, through their consistent use of this attack against previously defeated monsters, the kaiju dubbed Otachi forms a counter-offensive that results in the Jaeger’s destruction and the death of its pilots. The Achilles’ heel of the pilots was not within their Jaeger or their training but in their dependence upon a particular tactic to win them the battle. Characters in Chaotic Century describe this as “relying on [the zoid’s] abilities too much!” The pilot becomes too sure of himself by holding tightly to “what works,” leaving him or her scrambling to survive when their greatest strength suddenly becomes their bane. More often than not they suffer severe damage to their zoid because of this psychological weakness. Or, like the pilots of Crimson Typhoon, they perish for their blind conceit. A character’s dependence upon their extrasensory capabilities or superpowers will have the same results, future writers. If they use a particular ability too often or rely entirely on their paranormal strengths in combat, sooner or later this psychological vulnerability will be their downfall. Patterns of behavior, once formed, are very hard to change. This makes them easily predictable by an astute enemy, of which there are many, and leaves the heroes at a distinct disadvantage. So far we have covered four different ways in which an enhanced protagonist can be brought to his or her knees despite their additional strengths. That should be all of them, shouldn’t it? What else can possibly stop a character with beyond-average abilities? For that answer, let us take a look at two of my favorite original Star Trek episodes: “Is There in Truth No Beauty?” and “The Empath.” Both installments feature female characters with psychic abilities, with each woman handicapped in different ways when she tries to use these powers during the course of the story. In “The Empath,” Gem’s acute empathy allows her to heal the wounds of others by drawing their pain into herself, whereupon she dissipates it. Her ability is truly wondrous and a great help – but it comes with a price. If the wounds she is trying to heal are severe, absorbing them puts a great deal of physical stress on her. Healing life-threatening wounds will cost her life. The inherent limitation of her power is, necessarily, a weakness – one an enemy could exploit to great effect. Miranda Jones in “Is There in Truth No Beauty?” is a blind human telepath. Through scientific aids and her telepathy she can maneuver through life with minimal difficulty. Being sightless is, therefore, not much of a handicap for her. It is the manner in which she adapted, however, that led to her greatest weakness. When working to overcome her deficiency of sight, Miranda built up an armor of cold arrogance and dominance because she wanted to avoid being pitied for her lack of sight. This is part of the reason why she desires to establish a mind link with the Medusan ambassador; unlike humans and many alien males, the Medusans are incapable of sight – at least the kind that we understand. Among them her inability to see will be inconsequential. But her arrogant sense of superiority prevents her from fulfilling her desire. Much like a marriage, mind links in and out of the Star Trek franchise require that neither partner dominates the other, mentally or in a physical sense. Miranda’s drive to be the prevailing factor in the link with Kolos makes a complete telepathic connection between them all but impossible. Until she is forced to face her conceit and defeat it, Miranda is powerless to achieve the oneness with Kolos that she seeks. These are six ways that a writer of speculative fiction can make life difficult for an empowered protagonist. Each one brings with it a series of enticing challenges for the writer and the character(s) he wishes to chronicle for a reader’s enjoyment. Although story length will dictate the mileage one can get out of utilizing these handicaps in fiction (e.g. a novel will require that the characters have more consistent encounters with difficulties than a short story does), whichever path one settles on things promise to get interesting very quickly. If you liked this article, friend Caroline Furlong on Facebook or follow her here at www.carolinefurlong.wordpress.com. Her novelette, “Halcyon,” will appear in Cirsova Magazine’s summer issue. Very well done. Waiting for part three!